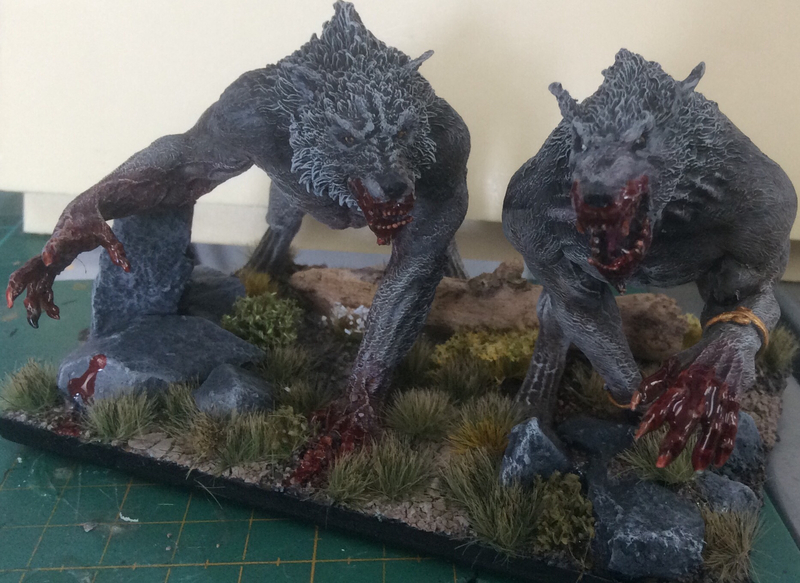 This morning I added the final touches to my Lycan Horde, blooding them so to speak. I used some Secret Weapon Miniatures' "Drying Blood" across the area first. This gives the final effect some depth and also represents the after effects of a hunt. I then applied a couple of thin coats of GW Technical Paint "Blood for the Blood God" and let it dry. Finally I gave the "wet" areas a light coat of gloss varnish to seal it. Happy with the way it turned out. 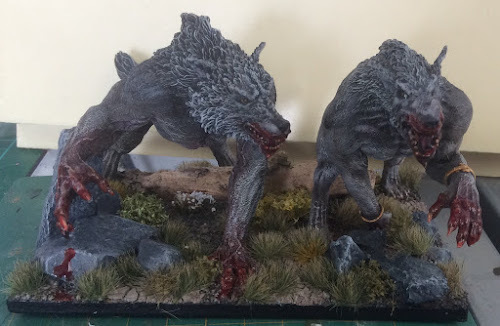 I think it captures their bestial Nature.